Martin Bennett was at the hospital for medical tests after he’d had a stroke. He met John Hardin, an old friend whom he had not seen for 25 years. They had been climbers together and shared a flat with Lester Adams. John had come between Martin and his now ex-wife, Julie. Then, Martin witnessed John being injected with something and he died, but it was determined that his death was caused by a heart attack. Other happenings, such as a quick cremation of the body, did not add up. 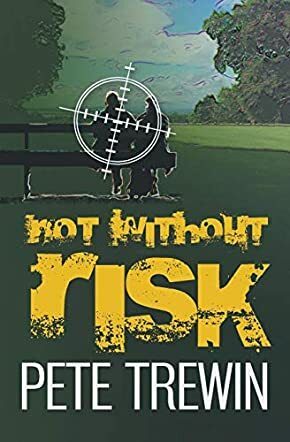 Martin’s quest to find the killer is the beginning of a harrowing adventure in Not Without Risk, written by Pete Trewin. Martin worked at Development Solutions, a regeneration company located in Liverpool, England, reporting to his friend, Lester. Martin’s unofficial investigation uncovered many of John’s questionable, and criminal, associations – as well as the police department and the mayoral office of James Whitaker. The intriguing plot is complex with many twists and turns. Fresh information about the long-ago relationship between John, Lester and Martin, and their partners, creates new insights. The author introduces many characters, and it is often not clear who has good intentions and who may harm Martin. Author Pete Trewin has delivered a compelling adventure mystery work in Not Without Risk. The title is reflective of the position in which Martin finds himself – as he continues on his quest, he may be putting his own life, as well as others’ lives, at high risk. How the mystery is solved is remarkable and unforeseen – an interesting tale, indeed.